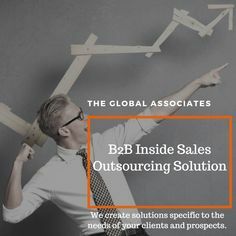 Developing a strong business network is essential for The Global Associates Lead Generation Services in this competitive world to stay ahead of competition and achieve great success. Lead generation services need to engage in the process of meeting new people and building relationships by creating fruitful conversations with them. The key to success lies in developing as many contacts as possible in your industry and outside. Social media has emerged as a powerful tool for lead generation services in the recent years; it has become vital to develop contacts not only in the real-life world now but also on social media. The network of people gives you an opportunity not only to get in touch with the important decision makers but also to explore new opportunities and acquire useful information. You need to understand the basic fundamentals of networking to make it more effective. Following are some aspects one needs to work on in order to achieve the most out of their networks. It’s imperative to network with a well thought-out strategy if you want your contacts to yield desired results. Just going out and trying to develop a business networking without any clear purpose will not take you anywhere. Identify the type of persons and companies you want to have in your network, make a list of people you already know and those you want in your network; and then embark on your networking mission. If you begin your networking journey with a purely selfish motive, you are starting on a wrong foot. It’s a two way channel; you take something from your contacts and you give them something in return. Unless you are ready to help out people when you can, nobody is going to help you. Limiting their network could be a limiting factor for lead generation services. It’s never a good idea to restrict your networking to a small circle of people from only your own industry. Good opportunities are always waiting outside your industry or social circle, expanding your net will help you create quality leads more often.